Lisa Lucas ’08, MEd ’11, strides through the busy hallway at Seattle’s Jane Addams Middle School as students head to their next class. She stops when she sees a familiar face — the mother of one of her students. After a warm greeting, a spontaneous follow-up from an earlier discussion ensues. In the life of a school counselor, moments like these signify why Lucas is here. School counselors like Lucas are vital members of a school’s education team, facilitating academic, career and social-emotional development in children and youth. Lucas’ daily activities include individual and small-group counseling, academic skills support, crisis intervention and meetings with the SPU grad student she supervises. She also collaborates with school staff to educate students about topics such as online safety and substance abuse prevention. Leaders in the education community increasingly recognize the pivotal role of school counselors — certified education professionals with master’s degrees or beyond — in the lives of students. 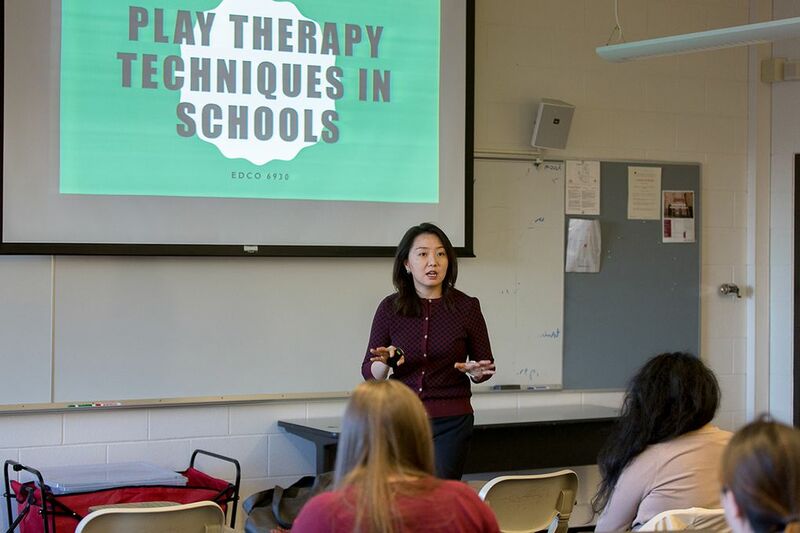 Seattle Pacific University Associate Dean of Graduate Programs in Education Cher Edwards says school counselors can bring empathy, humor, flexibility and collaboration to the classroom. However, working in the profession is both exciting and tough. The American School Counselor Association recommends a student-to-counselor ratio of 250-to-1, but in most states, these numbers are much higher, Edwards says. For Lucas, who serves in Seattle Public Schools, it is 400-to-1. The school counseling profession, Edwards notes, has changed dramatically in the last 20 years, along with Seattle Pacific’s master’s program. Today’s counselors utilize innovative, data-driven methods that follow a national model promoting “four Cs” of the profession: individual student counseling, developmental consultation, collaboration with families and communities and classroom guidance. Students who complete SPU’s program are well prepared for counseling roles: 100 percent of graduates passed the credentialing exam and 86 percent were employed, according to the annual program report for the 2016–2017 academic year. A third-generation Falcon, school counselor, and certified K–8 teacher, Kristen Weissenborn ’09, MEd ’12 was working as a long-term substitute third-grade teacher in Seattle Public Schools when she first considered the counseling profession. Weissenborn applied for SPU’s master’s of education in school counseling program that year, two weeks before the deadline, and in the middle of a national recession that led to many school counselors being laid off. Despite these circumstances, her graduate experience enabled her to put hands-on learning into practice right away, and employment in the field soon followed. The best counselors are responsive to needs and also able to provide preventive assistance, she says. School counselors play a significant role in shaping students’ choices and trajectories. 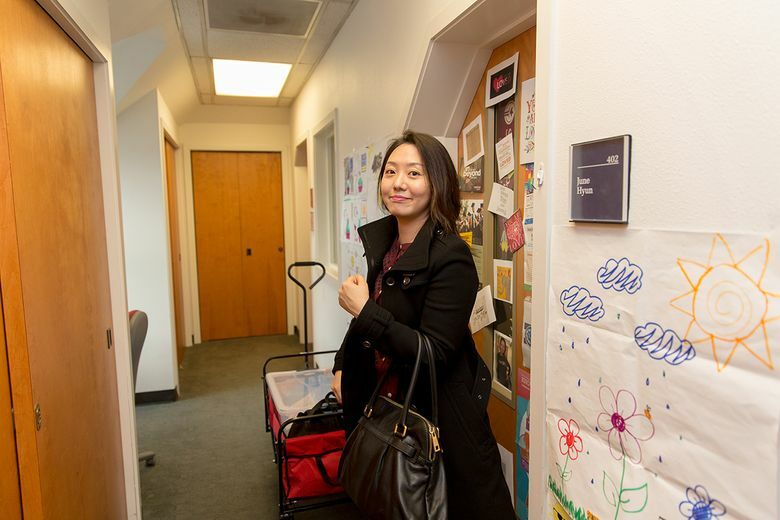 The skills and relationships that future professionals build in SPU’s program, Hyun says, go far beyond the classroom to the wider community and social systems within it. 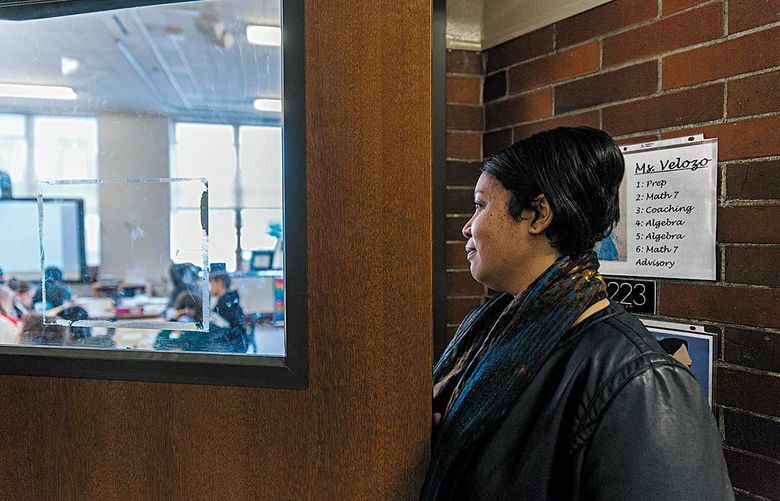 Back at the bustling Jane Addams Middle School, Lucas says that whether she sees student success in tackling big goals or a ray of progress for small ones, she’s glad to be in the building. Learn more about SPU’s school counseling master’s degree at spu.edu/edcounseling.